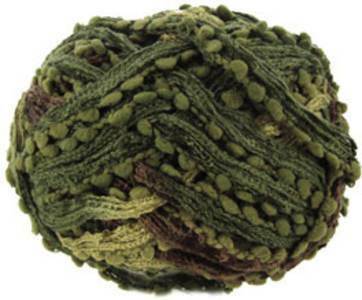 Katia Rocio Plus scarf yarn, 601 is a lacy Triana-style scarf yarn fading from light to dark green through the yarn and the tiny pompom edging trim. Machine washable 80% acrylic/ 20% nylon. 100g / 27m per ball - 1 ball makes a scarf using 8mm needles. 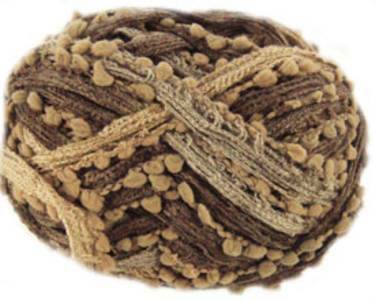 Katia Rocio Plus scarf yarn, 602 is a lacy Triana-style scarf yarn fading from light to dark brown through the yarn and the tiny pompom edging trim. Machine washable 80% acrylic/ 20% nylon. 100g / 27m per ball - 1 ball makes a scarf using 8mm needles. Katia Rocio Plus scarf yarn, 603 is a lacy Triana-style scarf yarn fading from light to dark orange, red and brown through the yarn and the tiny pompom edging trim. Machine washable 80% acrylic/ 20% nylon. 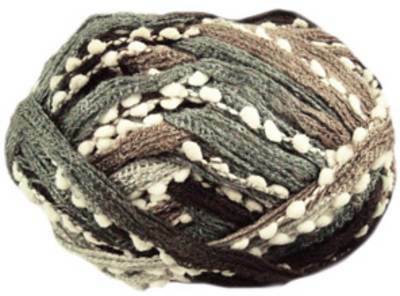 100g / 27m per ball - 1 ball makes a scarf using 8mm needles. Katia Rocio Plus scarf yarn, 605 is a lacy Triana-style scarf yarn fading from light to dark grey through the yarn and the tiny pompom edging trim. Machine washable 80% acrylic/ 20% nylon. 100g / 27m per ball - 1 ball makes a scarf using 8mm needles. 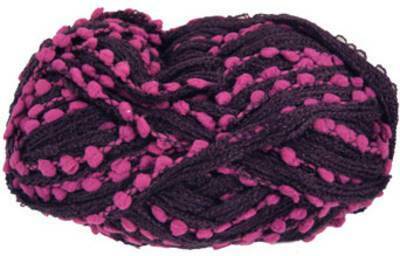 Katia Rocio Plus scarf yarn, 607 is a lacy Triana-style scarf yarn fading from light to dark magenta through the yarn and the tiny pompom edging trim. Machine washable 80% acrylic/ 20% nylon. 100g / 27m per ball - 1 ball makes a scarf using 8mm needles. 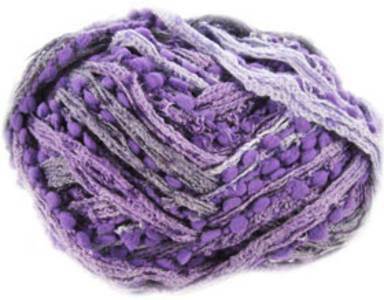 Katia Rocio Plus scarf yarn, 608 is a lacy Triana-style scarf yarn fading from light to dark lilac through the yarn and the tiny pompom edging trim. Machine washable 80% acrylic/ 20% nylon. 100g / 27m per ball - 1 ball makes a scarf using 8mm needles. 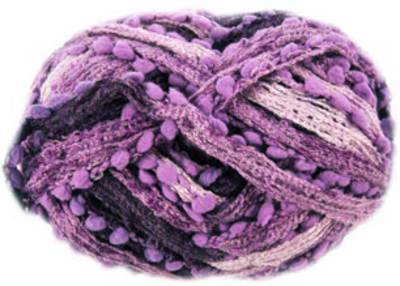 Katia Rocio Plus scarf yarn, 609 is a lacy Triana-style scarf yarn fading from light to dark purple through the yarn and the tiny pompom edging trim. Machine washable 80% acrylic/ 20% nylon. 100g / 27m per ball - 1 ball makes a scarf using 8mm needles. 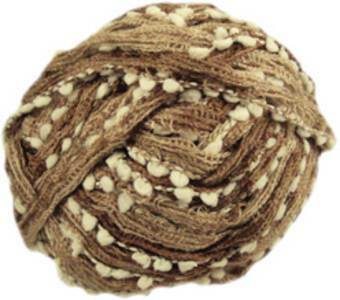 Katia Rocio scarf knitting yarn, 400 golden browns with a white trim. 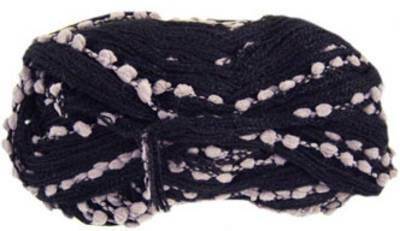 Lacy Triana-style scarf yarn with an edging of tiny pompoms. Machine washable 80% acrylic, 20% nylon. 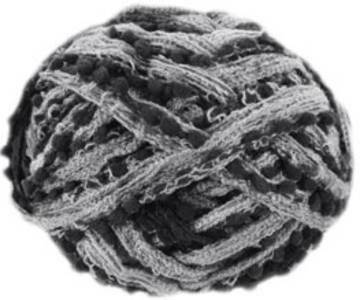 100g,27m per ball - 1 ball makes a scarf. 8mm needles. Katia Rocio scarf knitting yarn, 401, cream and browns with white and duck egg edging. Lacy Triana-style scarf yarn with an edging of tiny pompoms. Machine washable 80% acrylic, 20% nylon. 100g, 27m per ball - 1 ball makes a scarf. 8mm needles. Katia Rocio scarf knitting yarn, 402, greys trimmed with fawn. Lacy Triana-style scarf yarn with an edging of tiny pompoms. Machine washable 80% acrylic, 20% nylon. 100g,27m per ball - 1 ball makes a scarf. 8mm needles. 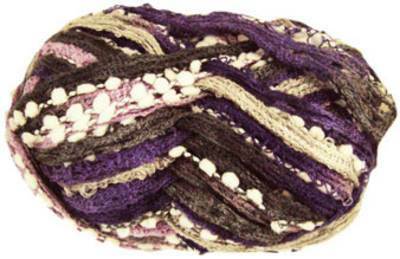 Katia Rocio scarf knitting yarn, 404, lilac shades with turquoise and white trim. Lacy Triana-style scarf yarn with an edging of tiny pompoms. Machine washable 80% acrylic, 20% nylon. 100g, 27m per ball - 1 ball makes a scarf. 8mm needles. 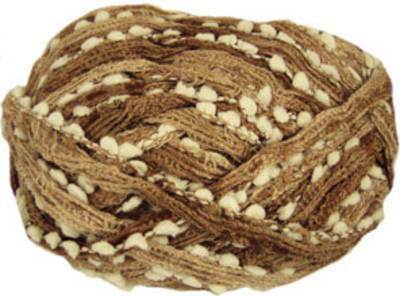 Katia Rocio scarf knitting yarn, 405 browns, beige and white. Lacy Triana-style scarf yarn with an edging of tiny pompoms. Machine washable 80% acrylic, 20% nylon. 100g, 27m per ball - 1 ball makes a scarf. 8mm needles. 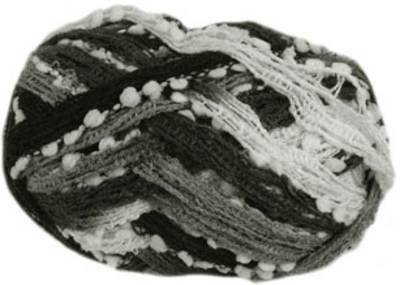 Katia Rocio scarf knitting yarn, 501 - black with grey edging. Lacy Triana-style scarf yarn with an edging of tiny pompoms. Machine washable 80% acrylic, 20% nylon. 100g, 27m per ball - 1 ball makes a scarf. 8mm needles. 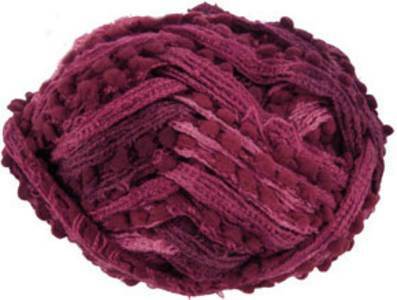 Katia Rocio scarf knitting yarn, 503, damson trimmed with rose. Lacy Triana-style scarf yarn with an edging of tiny pompoms. Machine washable 80% acrylic, 20% nylon. 100g, 27m per ball - 1 ball makes a scarf. 8mm needles. 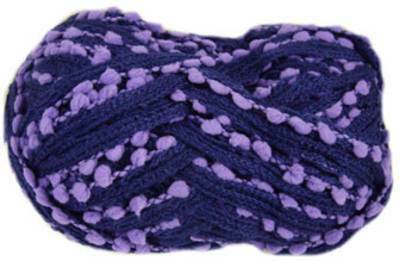 Katia Rocio scarf knitting yarn, 504, dark purple with lilac trim. Lacy Triana-style scarf yarn with an edging of tiny pompoms. Machine washable 80% acrylic, 20% nylon. 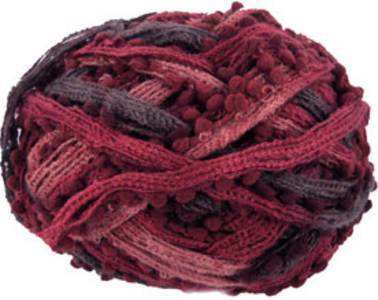 100g, 27m per ball - 1 ball makes a scarf. 8mm needles.